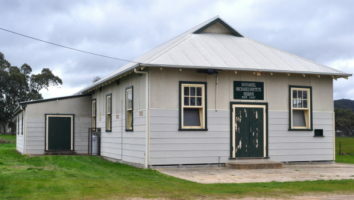 Description of Venue: The Moonambel Mechanics Institute has come along way since the days of pump up acetylene lights which served the hall well until electricity was connected in the town in 1961. 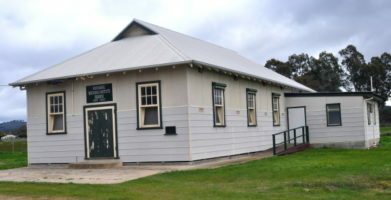 The current hall was built in 1934 after the original hall was washed away in the floods of 1933. 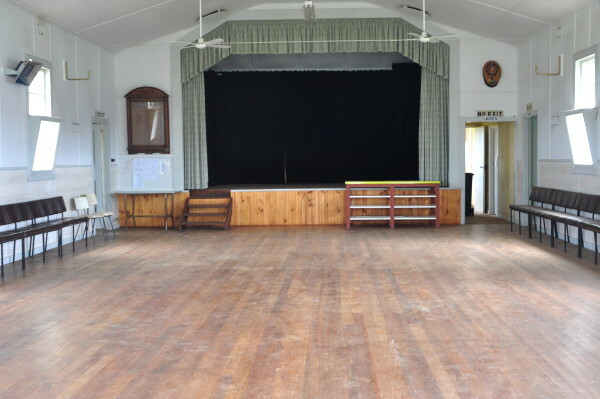 Perhaps the highlight of this hall is the stage, which features right and left wings which both have stage exits. The stage curtain is plush and luxurious. The acoustics in the hall are excellent and capitalised on by an operatic company who use the hall four times a year to stage concerts. The hall is also suitable for weddings, birthday parties, funerals, fundraising events, community events and Christmas parties. Gas wall heaters keep the hall warm in winter and ceiling fans circulate the air in summer. There is also a smaller meeting room available to hire for committee meetings or smaller functions. Currently, thanks to the shire for guidance and support, the hall's kitchen is being renovated and when finished will be a modern commercial kitchen. There is ample street parking available along Woods Street.. Terms & conditions: a bond is refunded when the hall is left clean and tidy, and hirers need to organise their own public liability insurance. Types of events which are run/held: Weddings, birthday parties, Christmas parties, funerals, community events. The hall is used 3-4 times per year by an operatic group. Is the venue open to the public, when and what times? 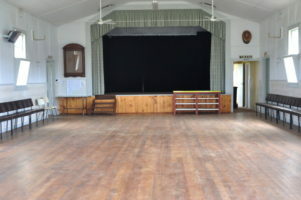 The hall is open to the public when public events are held, such as the operatic events that are held at the hall regularly. Stage: The stage is 7 x 3.7 metres and includes wings on each both with stage exits. There is a curtain, lighting and the committee are working toward purchasing a PA system. 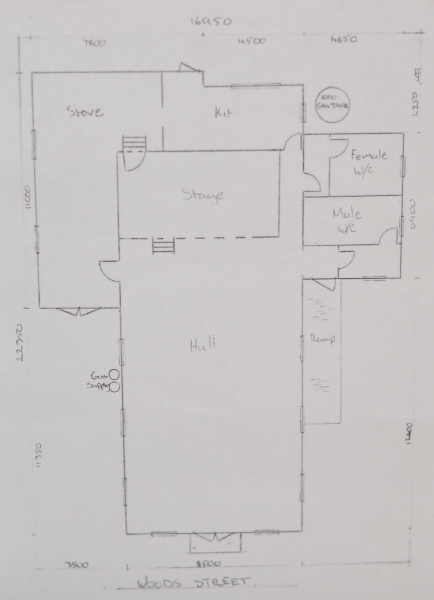 Extra categories: Other features include a meeting room and piano. The committee also hire out bench seating, cutlery and crockery for external functions.